Under the current NCAA rules, the intercollegiate athletes are the only stakeholders not benefiting from their relationship with the NCAA. Darren A. Heitner. 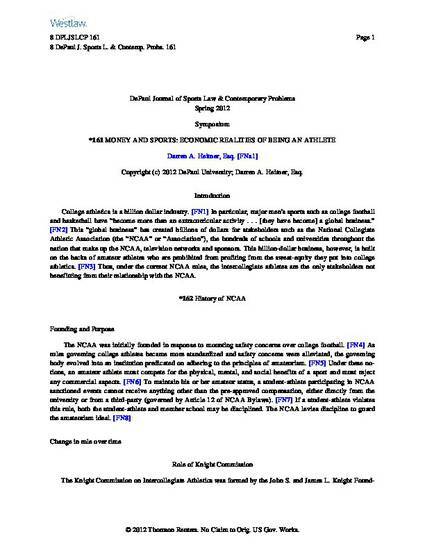 "Money and Sports: Economic Realities of Being An Athlete" DePaul Journal of Sports Law & Contemporary Problems. 8 DPLJSLCP 161 (2012).